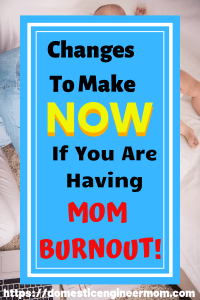 Do You Have Mom Burnout? 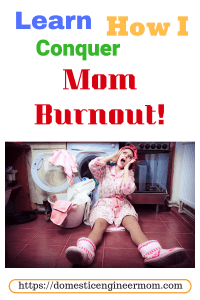 Do you have Mom Burnout? Well, then you probably already know that it doesn’t discriminate! It happens to most of us! It doesn’t matter if you are a new momma or a seasoned veteran! How to combat it can sometimes not be so easy. Don’t ever feel guilty for feeling this way! Being a mom is hard! When you are home with them 24/7 you are bound to burn out. Hey, why are people allowed to complain about being burned out from work? Most people would agree that it’s totally normal. Well, I’m here to tell you being a Stay-At-Home -Mom and Homeschooling to all 4 children at one time. You probably will have some kind of burnout of some kind eventually. If you never have, then Kudos to you!!! You must be some kind of super-human! My hat is off to you! I’m not trying to be sarcastic, no really! Everybody’s situation is different and unique. So if you are unsure how to handle it, I will give you some tips that have helped me in the past. So with my first child, I was a single mother. That feels like a million years ago. Kinda makes me sad when I think about it. Time goes by so fast! Well to get back on subject, I’m not really for sure if I ever experienced mama burnout or not during that time. I did have a lot of help from my mom and my sister! I’m sure that it also kept maybe some of the burnout from happening, and creeping in too much. I met my husband when my daughter was 8 months old and got married when she was 2 1/2 years old. A year later we had our 2nd daughter. I was in my early twenties so I probably juggled things a lot better then. Remembering being totally exhausted and suffering from postpartum depression with my second daughter. I was just absolutely so petrified that something was going to happen to her that I didn’t sleep much at all. That actually contributed to mom burnout or just plain mom exhaustion. My thought is that If I had mom burnout with my first two kids I probably didn’t notice it or even knew that this issue even existed. It wasn’t something I ever even heard about. I couldn’t discuss it with my sister just because I would feel totally insensitive because she’s never been able to have any children. And don’t get me started on my mother! She can be one of the most insensitive people ever! (I might have touched a nerve there, do you think!) And yes I went there! Is It Mommy Burnout Or Something Else? Up to this point, I thought I was doing pretty good. Well, we had our third daughter when I was 30. She was born with special needs and had to have a lot of medical attention. So obviously at this point, I probably just had pure mom exhaustion. It didn’t matter how I felt. I had a new baby with serious medical issues and 2 other children that needed my attention as well. I was homeschooling and we were homebound with Gabrielle until she got released from home health care. We were only supposed to be out for Dr’s visits and therapy. She also had several surgeries in the first year of life. She was about 15 months old before we even got released from home health. My husband isn’t really a hands-on dad very much, and that’s just how he is. Don’t get me wrong, he was always there if I needed him. But I had to tell him what I needed or what the kids needed. Just some men are that way! It just is what it is. He makes up in other areas with the family dynamics! Well, the mom burnout set in more than I would probably even want to count at this point! So let me fast forward another couple of years because we had baby number 4. we had less than 1% chance of having another child with the same condition. Well, bingo! He was born with the same special medical needs also. Now we have 2 children with special needs and the oldest becoming a teenager and a 6-year old that still needs so much of your time still. I don’t know how I even survived the first year. Oh yeah, I do a lot of prayers and a huge dose of faith. 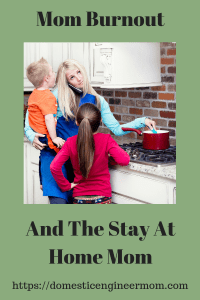 You can definitely run into mom burnout fast, especially when you don’t learn to delegate! You need to learn how to ask for help! There is no shame in asking for help. You are not a weak person or terrible mother by doing so. I really wish someone had been in my life at that time to let me know that having mom burnout is normal and it’s ok. When you try to do it all and don’t give yourself some “Me Time” you can downward spiral out of control, and it can very well turn into depression or anxiety. I have an confession, I‘m still having issues with letting go and asking for help. I just got back from a 1-night stay with my sister in Branson. Do you know that it has been over 8 years since I have been away from my husband and children? I’m good at giving advice but not following through with what I know I should be doing. This is why I wanted to write this post. I don’t want others to ever be in my shoes and not know what to do. Whether your children are typical or special needs we need to realize we need a break from time to time. How do you recognize if you have mom burnout? Well, there is definitely a difference between mom burnout and depression. The way I see mom burnout, is just about the day to day grind of things. You feel like “really, another day of monotony.” You want to feel more refreshed. 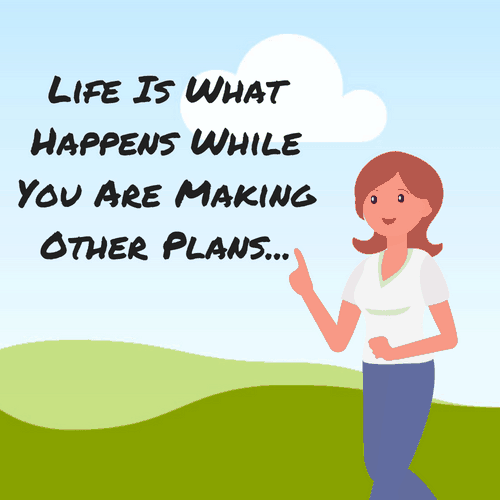 You know you are stuck in a rut! Sometimes just being able to take a shower, alone, can be a start. Get dressed and get outside! Go have coffee with a friend! If you can, get away with family, friends or sometimes I would just rather be by myself and just relax. You know what kind of realistic options fit your life. Not all these options fit my life at all times. Give yourself a break! But most importantly is that you don’t let your burn out turn into being totally stressed out! You need to recognize what your body is telling you. This is time to be in tune with your emotions. A Broken Mommy Is Never Good!!!! We are usually the Family Stone. When our ship goes down, the whole fleet goes down!!! I would love to hear your thoughts! Also, subscribe to my blog, and you will never miss a moment!!! !